Football is Back!! 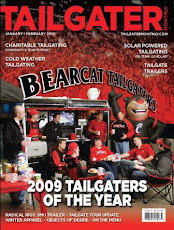 Join the Bearcat Tailgate Crew for a sneak peak of your 2009 - 2010 Bearcats. 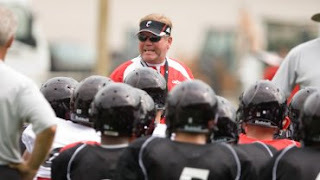 That's right, Bearcat Bowl III is this Saturday, April 25th. The game starts at 7:30 PM at the "Nip" but the Tailgater will kick things off at 3:00 PM. The tailgate trailer will be pumpin' tunes and the TV will be dialed in to the NFL draft. We will have plenty of food and ice cold beer. Every one is welcome...and donations are appreciated. YOU MUST BE 21 TO DRINK ALCOHOL. We have a new tailgate location for the Spring Game. We will tailgate in the Alumni Center Parking lot located on campus (2906 Woodside Dr.). Parking is first come first serve and free to all UCAA card carrying members. Click Here for UCAA tailgate parking guidelines.